Amid anti-Semitism row, British Labour loses heavily-Jewish London borough. Following unprecedented protests by British Jews against a major political movement, the country’s Labour party lost in local elections a heavily-Jewish area of London that it had held for decades. The losses in Barnet follow three street protests by Jews against Jeremy Corbyn, a hard-left politician who became Labour leader in 2015. Corbyn in 2009 called Hezbollah operatives his “friends” and Hamas an organization “dedicated towards the good of the Palestinian people and bringing about peace and social justice.” He also refused to denounce either terror organization as anti-Semitic. He also defended in 2013 an artist who drew a mural depicting Jewish men playing monopoly on the backs of black men. 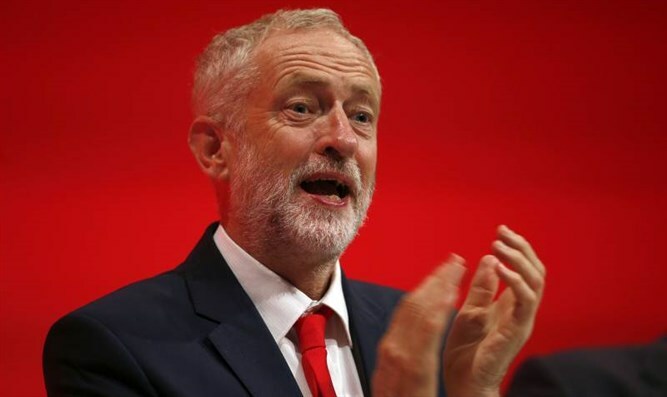 He has expressed regret for these statements and has vowed to kick out anti-Semites from Labour, but the Board of Deputies of British Jews dismissed these pledges as lip service, citing multiple failures to act on them and the absence of guidelines defining anti-Semitic speech. In April, Corbyn attended an event hosted by a virulently anti-Israel group which in the past called for the destruction of the State of Israel, describing the Jewish State as a "steaming pile of sewage which needs to be properly disposed of." The streets protests were unprecedented and highlighted a deep crisis in the relations between representatives of British Jewry and the party that used to be their constituents’ political home. With results in from 99 of the 150 English councils that were holding elections, the Conservatives had a net loss of two seats, Labour had a net gain of 37 and the Liberal Democrats were up 40. UKIP were down 92. This is because in local elections in Britain, the party that’s in national government usually loses seats as voters views at an opportunity to kick the party in national power. “For Labour to barely be ahead of the Tories in overall net gains is poor,” Robert Hutton, British political reporter for Bloomberg News, wrote.